Please be sure that your motorcycle is clean (this makes it easier to spot issues). Tires have >50% of their tread life left. Have >50% material left on your front brake pads. Tape over anything that can shatter. Remove luggage and license plate. Be sure to tighten your oil drain plug and filter. Have a functional kill switch. Have functional front and rear brakes. Full face helmet that is less than 5 years old. Gloves, that have a cuff are recommended. Boots at least 8 inches tall. Leather suit or a textile suit that zips together. Back protector is a good idea, but not required. Tech is here to try and avoid issues. The will go over your bike to see if there are any safety concerns. You must be able to pass the tech inspection to ride. Novice: No track experience and/or less than 3 years riding experience. 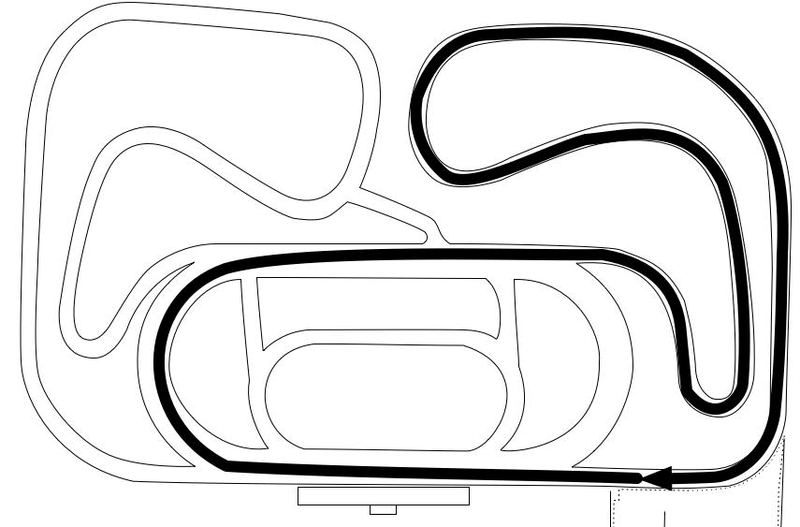 Intermediate: Moderate track experience (track days and riding schools), slower racers or racers on smaller displacement bikes. Advanced: Extensive track experience and/or a Road Racing License. The responsibility for passing safely rests with the overtaking rider. If a faster rider cannot pass another rider safely and cleanly, the faster rider must wait for a safer opportunity. Pass for the other rider’s comfort, not yours. It’s best to make the pass at the rider is moving away from you and not tipping in toward you. In the Novice sessions, passing on the corner entry is not allowed. What is a safe pass? There should NEVER be any drama. IF you have to apologize, you need to revisit what made you think about attempting that pass in the first place. Frustrated? Pull in the pits and wait for a clear track, after all it is only a track day. Hold your line and turn predictably. The faster riders will find a way to pass. Set up body position for the corner early. Toes on the end of the pegs. Move them forward to shift and brake and then move them back. Head position should be looking through the turn. Keep your eyes up and scanning. Use a relaxed grip on the handlebars. Move your upper body (Head) to the inside of the bike, as you feel comfortable. Work on shifting your body weight on your seat to reduce the center of gravity while cornering. As you get more comfortable work to getting your chin over your inside hand. Weight the inside foot peg in the corner. Cornering involves “counter‐steering” or countering the gyroscopic force of the rotating wheels. Push your right handle bar to turn right. It is possible to make smaller refined inputs into your turns by using your weight on the pegs. Press the inside peg to tighten up the corner radius and the outside peg to increase the corner’s radius. Use your legs to move around on the bike, not your arms. Your outside arm should be relaxed upon the tank. DO NOT LOOK OVER YOUR SHOULDER or behind you while on the track! Slowly let the clutch out on down shifts. Slowly squeeze the brake lever with two fingers to slow the bike. 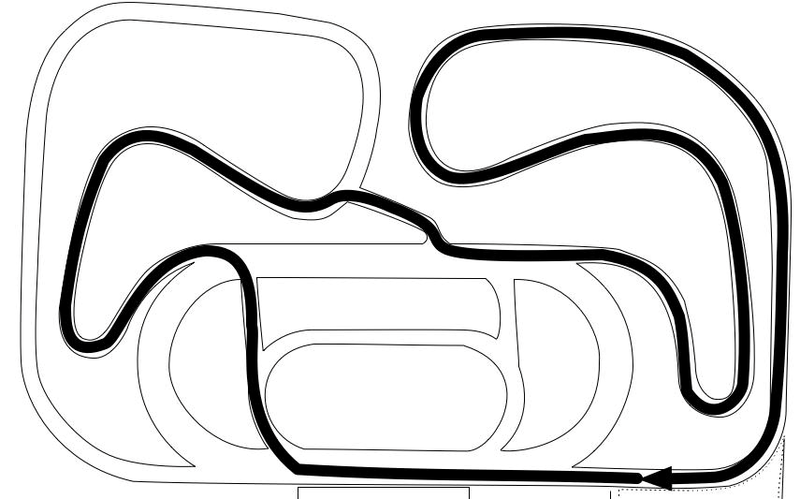 Roll on the throttle on corner exits, once you can see your exit point and can take away lean angle. Accept that you can fall, that injuries can occur, that the motorcycle will be damaged, and that is likely the end of your Track Day. Things to do when falling: I know it’s a lot to ask but please try. Let go of the bike. Stop before standing. Count to at least 5 after you think you have stopped then look at the sky or ground to make sure it's not moving. If you are on the track don't stand up or move immediately. Assess where you are first and where the other riders are. It's better to be run over than hit standing up. Also the other riders have already made a decision of how to get around you. Don’t complicate the situation. Any rider who is observed in dangerous situations – while passed or being passed – or is deemed by SMRI officials to be riding too aggressively will be removed from the session and/or the track day. No blocking; Attempting to block another motorcycle attempting to pass you will result in your being removed from the session. A motorcycle that goes off the paved surface but remains upright may reenter the course. Use caution when doing so and obey any signals given by track officials. If a motorcycle goes down (i.e. your handlebar touches the ground), it may not re‐enter the course until a track official gives permission. Normally, permission will not be given until the session is over. The bike will then have to go back through Tech before your next session. Motorcycles that have gone down must be return to the pits after the session is over and be re‐inspected. Safety apparel is also subject to re‐inspection. Never stop on the track unless your motorcycle is disabled or you have been black‐flagged by a track official. If this happens, try to get to the inside of the track or a corner off the track surface or another non-impact area. Riders must always follow the track direction. Do not take shortcuts or detours. Before exiting from the track, the rider should signal by raising an arm (preferred) or extending a leg in a manner easily visible to the riders behind them. If a rider encounters any problem with the bike or equipment, the rider should signal by raising an arm and safely position him/herself off the pavement and wait for corner marshal assistance. It is expressly prohibited to ride or push a motorcycle against the normal course direction on the track unless directed to do so by a track official or corner marshal. Disrespect towards corner marshals and track officials will not be tolerated. They are responsible for hazardous areas around the racecourse and are there for participants’ safety. Riders who do not obey warning signals and rules may be removed from the track. Green Flag: start of race or clear track conditions. Checkered Flag: Indicates end of practice session. Proceed around course to the designated track exit. Red Flag: Indicates Session has been stopped. A red flag displayed during a race or practice indicates extreme danger. Reduce speed and proceed safely to the pit road. Black Flag with Orange Center (meatball flag): Indicates an issue, report to Pit Out within three laps. Black Flag: Indicates a problem and immediate removal of your motorcycle from the racing line. Signal by raising your hand up or putting a foot out, then carefully reduce speed, get off of the racing line and stop at the first safe location off the course to the inside of the a turn. Yellow Flag with Red Stripes: (Debris flag) Indicates oil, gas, dirt or other debris are on the track surface. Proceed with caution. Yellow Flag: (Caution flag) Indicates motorcycles, riders, and/or Marshals are in the area but out of racing lines or likely run off areas. Proceed with caution! Any waving warning flag indicates a hazardous condition on the racetrack and possibly in the racing line. Proceed with caution. Passing is not allowed under any waving flag from the point of the flag until past the incident area. Read your rulebook for more information. Blue Flag:For SMRI Track Days ‐‐ Means NO PASSING ON THE INSIDE of a rider prior to the apex during that session. When the blue flag is displayed all riders are prohibited from making an inside pass before reaching the apex of a turn. The blue flag is displayed when riders with limited experience are on the track. Riders with intermediate or advanced skills are reminded that the blue flag applies to them as well as to the beginning riders.